We can never say “no” when it comes to McDonald’s. Indeed, can you imagine the kind of willpower it would take to refuse those golden fries, or a delicious Big Tasty smothered in Big Tasty Sauce? Food aside, there is another reason why we can’t say “no” to McDonald’s: the fact that it has been in our lives for 25 years now. We mean, who could forget those birthday parties we threw as kids at McDonald’s, or those late-night study sessions when you and your friends decide to take a break and treat yourself to McDonald’s? As such, it has been part of all of our lives in more ways than one. Given the sheer amount of times we’ve eaten at McDonald’s, we know that it offers some of the tastiest food options in town. But what about quality and hygiene? Surely all of you reading this may be thinking “well, quality and hygiene are not particularly a concern to McDonald’s, or those eating it”. 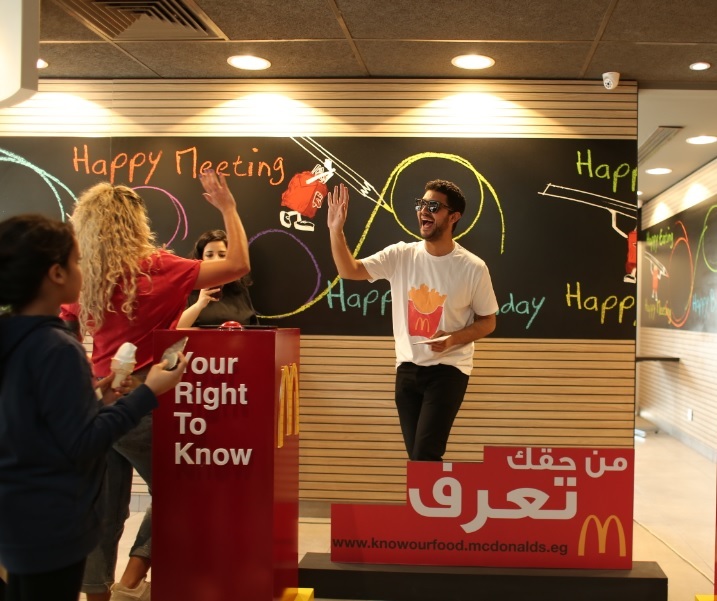 Well, you are wrong; making a significant impact on changing our perspective towards their reputation concerning good quality food, McDonald’s Egypt has launched the second phase of the campaign “Your Right To Know”. With social media becoming ever so popular, and all sorts of incorrect information being available online, people have been visiting untrusted sources to find answers to their questions, and built their perception about the food made by McDonald’s based on these inaccurate sources. Your Right To Know puts all these to rest by giving the customers a chance to check these facts for themselves, but this time from a credible source: http://knowourfood.McDonald’s.eg/. By visiting the website, everyone will have access to credible and factually correct information about the food. Certainly, this is the main purpose behind Your Right To Know. In other words, the idea behind the campaign came as McDonald’s Egypt realised that people have big questions about the quality and origins of their food. Accordingly, McDonald’s Egypt devised a campaign that aims to educate their customers about things like hygiene, the source of the ingredients, quality of food, and much more. How is McDonald’s planning on doing all this? Well, today (April 14th), McDonald’s Egypt hosted a launch event to celebrate the second phase of Your Right To Know at the chain’s Merghany branch. The event saw various media representatives and influencers. The attendees received talks about Your Right To Know, the specific ideas which inspired its launch, and the goals behind the campaign, and the launching of the new website. The event was also home to an exciting game; attendees were asked questions which tested what they knew – or what they thought they knew – about McDonald’s Egypt. This all happened under the purview of the slogan محدش كبير على السؤال (this translates into “you are never too old to ask a question”). 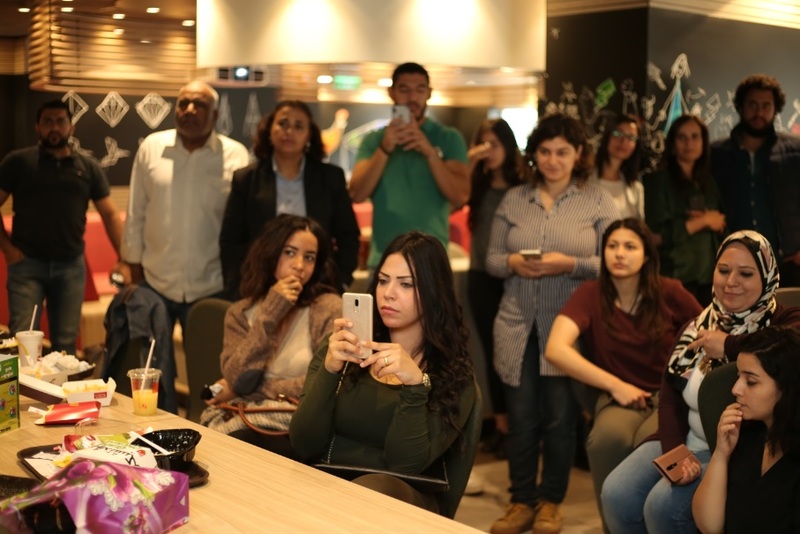 At the event, guests also had the chance to make their own sandwiches, as well as receive a tour of the branch; attendees checked for themselves the cleanliness of McDonald’s Egypt and the way it stores all of its ingredients. Finally, attendees got to access and interact with McDonald’s Egypt’s brand new website via the supplied tablets. This isn’t the first time we see McDonald’s being transparent. McDonald’s has proven their commitment to transparency throughout the years by inviting people into their kitchen and having them see for themselves how the food is made, and the extent to which they are keeping high standards. A testament of this is the fact that in January 2019, McDonald’s surprised its customers by uploading a video to their social media platforms, giving their audience a tour of their beef and chicken factory. Throughout the video, the audience got to witness McDonald’s production process for themselves. Thus, Your Right To Know only affirms McDonald’s commitment to extreme transparency and honesty. That being said, make sure you check out the website yourself and don’t forget to follow their Instagram account. We are always proud to see a successful chain take time to creatively interact with its customers. #YRTKPHASE2, #YourRightToKnow #25YearsofMcDonald’s #KnowOurFood.